How long has the EPA had it’s own crew for repairs??? The agency had planned to find the source of the leak in the hope of one day stanching it. Instead, as workers used a backhoe to hack at loose material, a surprise deluge of orange water ripped through, spilling into Cement Creek and flowing into the Animas. The burst did not injure workers. Migrants actually came through ports of entry? Now, those with agendas have changed the meaning of migrant! US Presidential candidates! Pay attention! 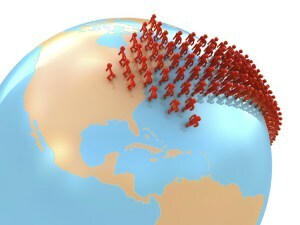 Toronto, Canada – A new Ipsos global poll finds that fully half (50%) of those citizens surveyed in 24 countries say there are too many immigrants in their country—and almost as many (46%) agree that immigration is causing their country to change in ways they don’t like. Like it or not (mostly NOT! ), here they come! Against a backdrop where 81% of citizens indicate that over the last five years migrants have increased in their country (and just 30% say immigrants make their country a more interesting place to live) only one in five (21%) citizens surveyed say immigration has had a positive impact on their country; only three in 10 (28%) say immigration has been good for their economy. Further, half (50%) say immigration has placed too much pressure on public services in their country. Who to heck is doing his prep work.. because I for one, am getting tired of his lack of real issues. I have been a listener and supporter since he first started. Have you noticed the difference in his format? HEy….OLIVER…TAKE YOUR HATE BACK ACROSS THE POND!!!! So…Holder and Co. say that the City of Fergusons quest for ever more and more revenue caused the FPD to discriminate. Well I think Holder ought to look to 1600 Pennsylvania Ave…and Congress for their constant need for more and more revenue! We people are being discriminated against too!